If you haven’t visited the Norma website recently, you should click over to www.norma.cc/en/ (the ‘en’ is for English version). There you will find Norma’s “Ammo Academy”, a technical resource that provides information on: Ballistics, Powder Storage, Barrel Wear, and Bullet Expansion. In addition, the Ammo Academy now links to Norma’s Reloading Data Center, where you’ll find loads for nearly 70 cartridge types including: .223 Rem, .22-250, 6mmBR Norma, 6XC, 260 Rem, 6.5-284, 6.5×55, 7mm-08, .270 Win, .284 Win, .308 Win, .30-06, 300 Win Mag, .338 Lapua Mag and dozens more. After the trigger is pulled, it takes around 0.005 seconds before the firing pin reaches the primer. 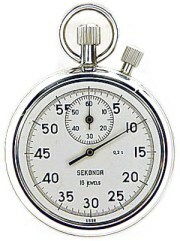 From the firing of the primer it takes 0.0015-0.002 seconds until the bullet exits the muzzle. When the bullet leaves the muzzle, the hot gases surround and overtake the bullet, continuing the acceleration for a few centimeters. Because the barrel is always angled slightly upwards, the bullet’s flight starts about 3-5 cm below the line of sight. To maintain the product quality for as long as possible, you have to keep the powder in a suitable place under suitable conditions. Where possible, store the powder at a constant temperature, ideally between 12 and 15°C (54°F to 59°F), and a relative humidity of 40–50%. If the air is too dry, it will dry out the powder, which will cause the pressure to be higher, thus affecting performance. Also make sure that you close the powder container properly afterwards. Cartridges should be stored under the same ambient conditions to maintain their quality. For more info on Norma products, CLICK HERE to access Norma’s Catalog Download Page. Share the post "Norma’s “Ammo Academy” Provides Valuable Information"
So, you want to put five shots through one hole at 100 yards? That may be asking a bit much, but with the right rifle, the right technique, and the right load, you might just be able to shoot “in the ones” (i.e. a group measuring 0.1 to 0.199 MOA). You could consume a lot of time and money trying to achieve this level of precision. Or you could learn from “the man”, Tony Boyer, unquestionably the most successful shooter in the history of short-range benchrest competition. You can literally “go inside Boyer’s brain” by reading his 323-page treatise, The Book of Rifle Accuracy. First published in 2010, this is a beautiful book, full of color photos from cover to cover. Every serious benchrest shooter should read Tony’s book. He has dominated registered benchrest in a fashion that will never be duplicated. 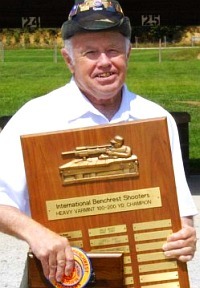 Tony Boyer has 164 U.S. Benchrest Hall of Fame points. The next closest shooter, Lester Bruno, has 48 Hall of Fame points. (Totals current 9/21/13). The full-color book is 323 pages long, with color photos or color illustrations on nearly every page. The hard-cover edition costs $42.50, while the soft cover version is $34.50. 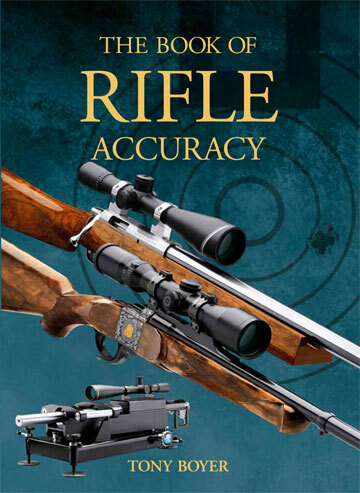 Purchase from Amazon.com, or you can buy directly the publisher by visiting www.RifleAccuracyBook.com. The Boyer books are also available from Bruno Shooters Supply, 1-800-455-0350. Share the post "Tony Boyer’s Book — Learn Benchrest from the Best Ever"